- Cheese: Formaggio We chose the Banjo Cheese from Hobo Cheese Co. 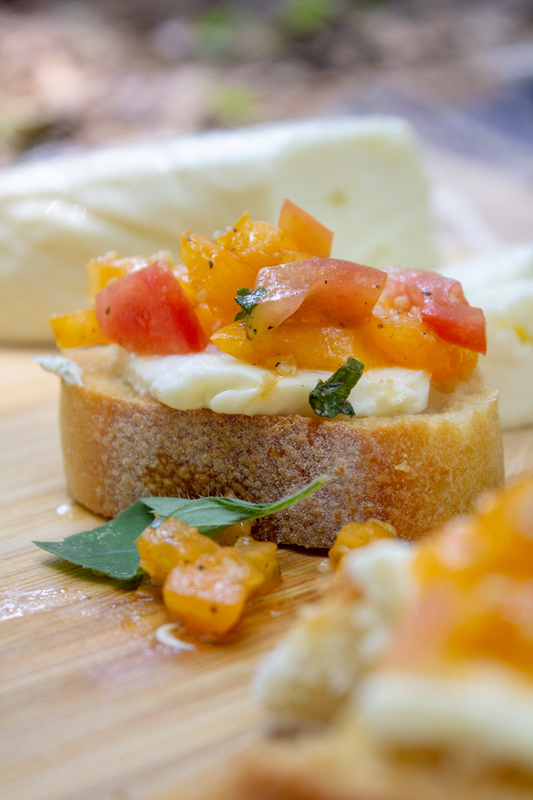 It's has a mozzarella firmness that is perfect to slice and pair with bruschetta and baguette. *Finely chop tomatoes and basil. Combine in a small bowl with a splash of olive oil, balsamic vinegar, salt and pepper to taste. Ad as much cheese and bruschetta as the bread will hold and Enjoy! - Meat: The Spotted Trotter Their Cacciatore (Hunter) Salami was our choice for the day. *Spread the cheese, pile on some meat and enjoy! Note: Picnics are best enjoyed with your favorite brew. Snag a six pack from the brewery or local package store to pair with your creations.